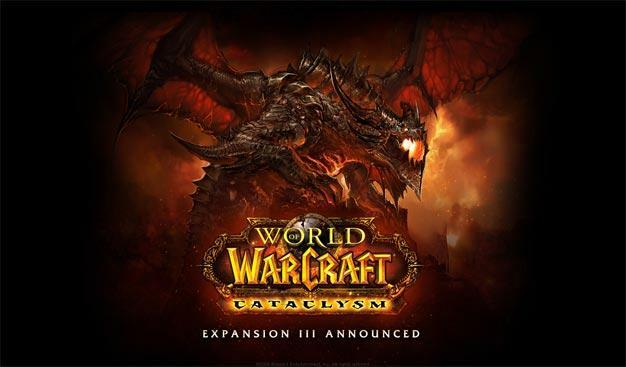 BlizzCon is here and so are the announcements and it is official, Cataclysm is the next World of Warcraft expansion. We ran through the rumors in our weekly MMO update and it turns out that most of those rumors were in fact true. As we mentioned in the rumors we’re getting two new races, the Goblins for the Horde and the Worgens on the Alliance side. The expansion takes place on the now ruined Azeroth that has faced destruction due to a cataclysmic event and the Deathwing are the main villain focus. We’ll now be able to use flying mounts in Azeroth and we’re also getting a new secondary profession called Archeology. On top of that there will be new class/race combos, rated battlegrounds and new and revamped old dungeons. We’re sure more info will be released when the WoW preview panel fires up later today at BlizzCon.